Published: Apr 5, 2011. Updated: Apr 6, 2014. 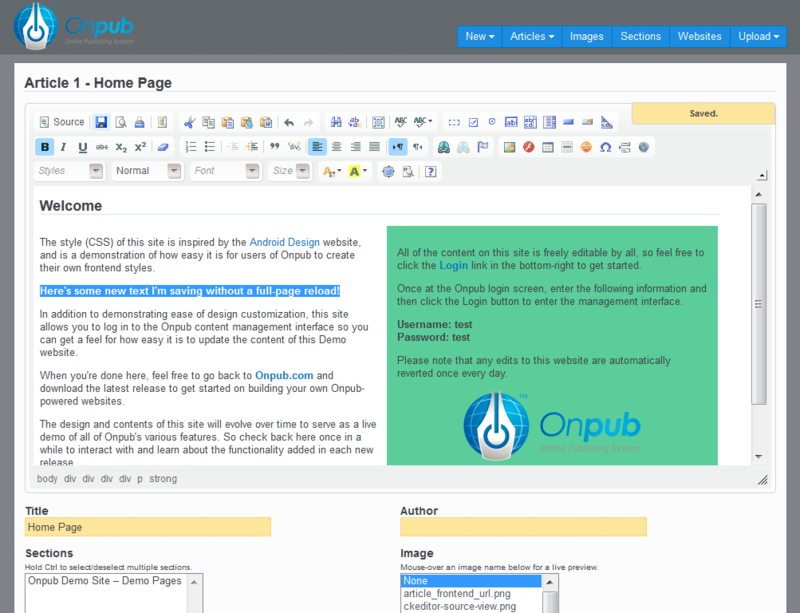 Screenshot of the Onpub-enhanced CKEditor AJAX save support. Save your HTML content edits without a full page reload. Click to enlarge.